Donkey ear plants (Kalanchoe gastonis-bonnieri) have evergreen, succulent foliage and tall flower spikes that can reach up to 18 inches tall. They generally flower in fall and early winter, and their red and yellow flowers entice hummingbirds into the garden. Donkey ears grow in U.S. Department of Agriculture plant hardiness zones 10 through 12, but they also grow well as houseplants. Donkey ears usually die back after flowering, but they produce new plants, or pups, you can replant to replace the original plant. Plant donkey ears in a garden bed with full, all-day sunlight or with full morning sun and light afternoon shade and in soil that drains well. 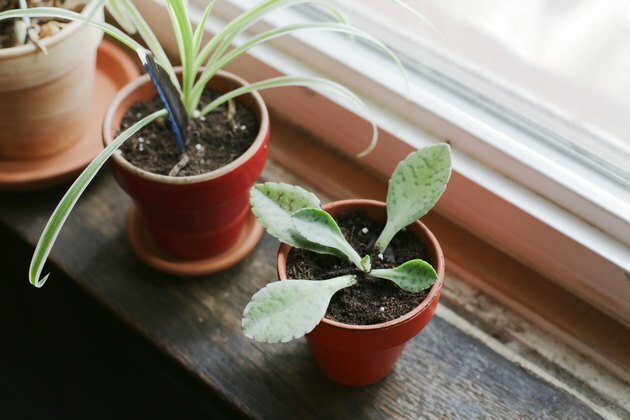 Indoors, place the plant near a window that receives direct, all-day sun. Water donkey ears when the top 1 to 2 inches of soil begin to dry out, but before the soil is completely dry. Provide just enough water to garden plants to moisten the soil to 6 inches deep. Water potted plants until the excess begins to drip from the pot bottom. Empty any drained water from the drip tray, if the pot has one, after watering. Donkey ears require watering approximately once per week. Mix 1/2 tablespoon of an all-purpose, soluble fertilizer, such as a 24-8-16 blend, with 1 gallon of water and use this solution to water the plants instead of using plain water. Apply the solution every two to three months when the donkey ears are actively growing. Alternatively, use half the rate recommended for the specific fertilizer variety. Check the package for instructions as they vary by brand. 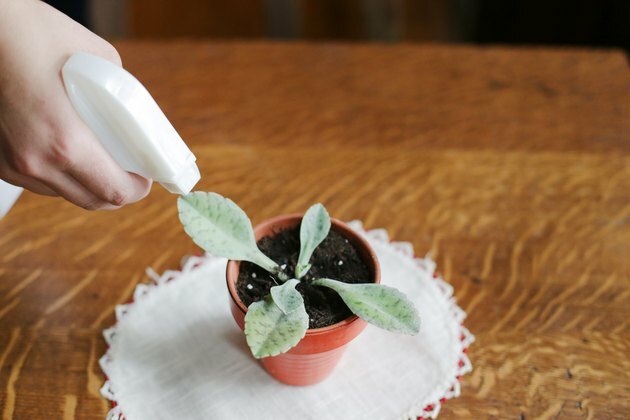 Feel the stem base and inspect the leaves regularly for signs of fungal growth, such as soft, mushy stems and leaves or visible fungal growth or spotting. These symptoms indicate overly wet soil and rotting roots. Allow the soil to dry out almost completely before watering again. Plants do not usually survive once they have begun to rot. 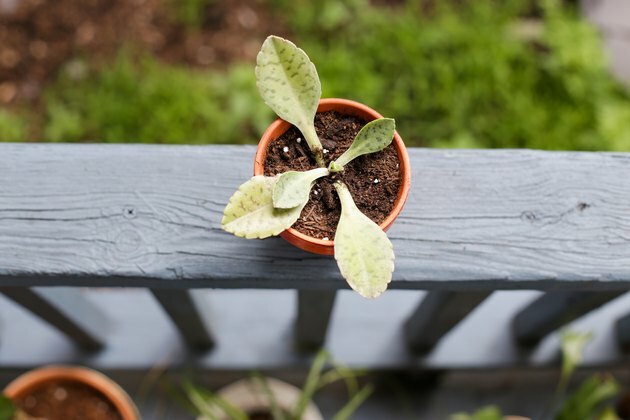 Trim off the pups, which look like miniature donkey ear plants that form at the tips of the leaves before the plant dies back after flowering. 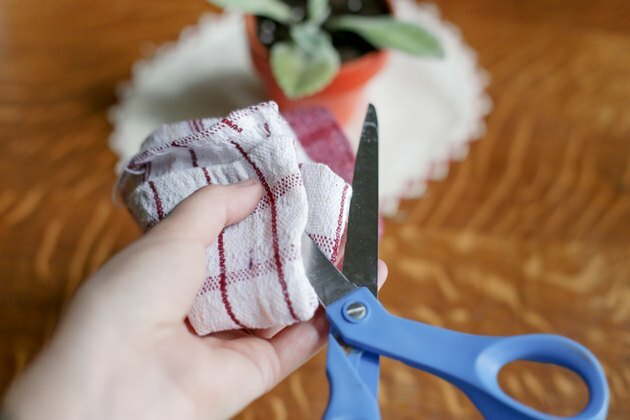 Wipe the shears with a rag soaked in rubbing alcohol to disinfect them, and then cut off the pups where they join to the leaf. 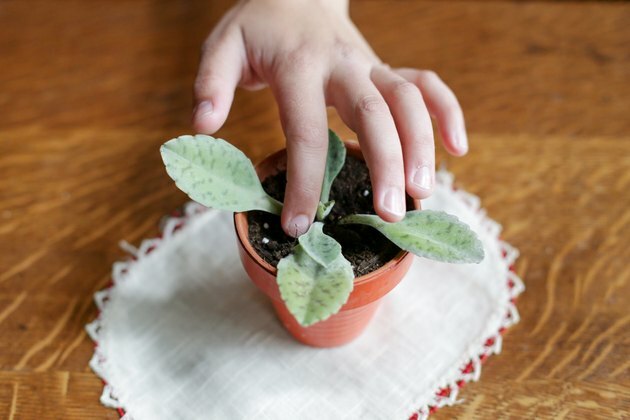 Fill a new pot with a peat-, soil- and sand-based potting mix, such as one labeled for cactus and succulents, if you want to grow more donkey ears from the pups. 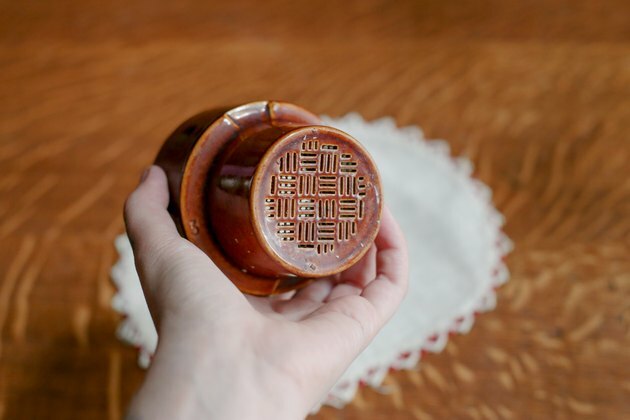 Use a pot with a bottom drainage hole. 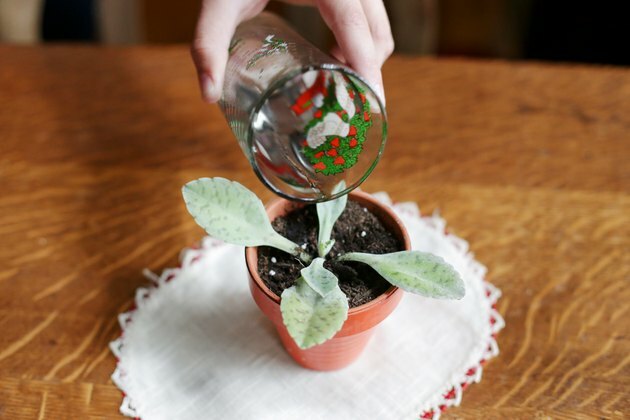 Water the soil until it's barely moistened and plant the pup in the pot, with just the leaves above soil level. Care for it as you would a mature plant. Bring donkey ears indoors during the winter if your area experiences freezes or extended periods of cold. 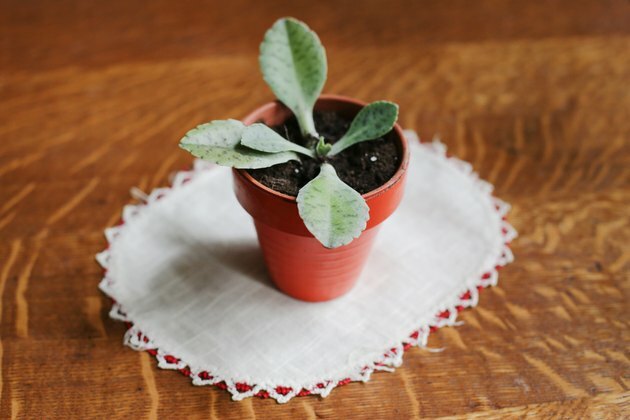 Place the pot in a sunny window and water when the soil dries out, or about once each week. Move the plant back outdoors in spring or early summer when all danger of frost has passed.